From time to time users may run across the need to run a program or script as an administrator. In Windows 8 and 8.1, there are a few different ways of running these types of actions. From the start screen you are able to run a program as an administrator through two methods. First, navigate to your program and either right-click the icon or long-press the icon (for touch users). This will enable the app bar where you have the Run as administrator option. For users who are fans of shortcut keys, you can use the 'Ctrl+Shift+Click" method. 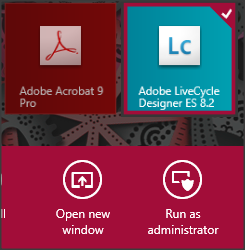 While holding down both the Ctrl and Shift keys, click on the program that you wish to run as administrator. 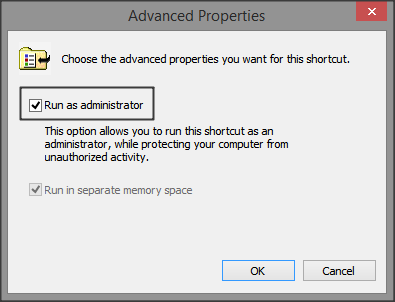 From the desktop Screen you are able to invoke the run as administrator option through context menu. First, you will right-click or long-press (for touch users) to bring up the context menu. 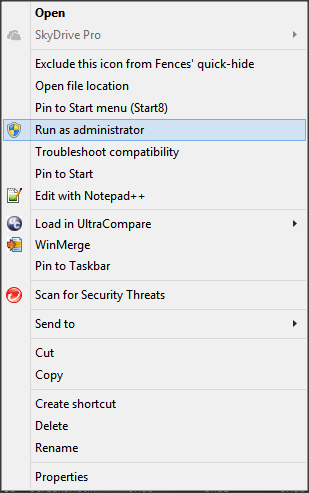 From the context menu, select the run as administrator option, notated by the blue and yellow shield icon, the User Account Control (UAC) icon. 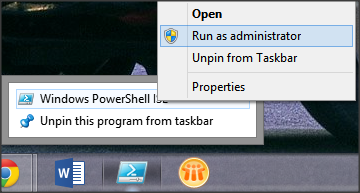 From the taskbar you are able to use the run as administrator option through two methods. First, right-click on a program to enable the jump list. Once the jump list is in view, right-click on the program in the jump list menu to bring up the context menu. 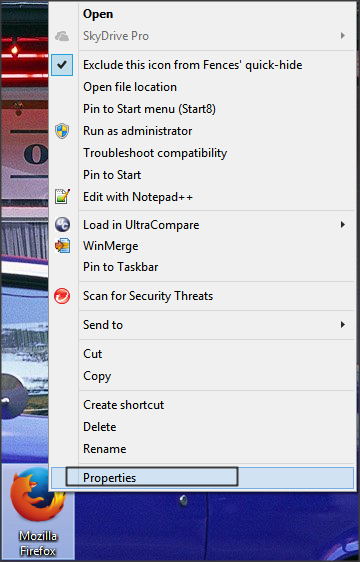 From the context menu, select the run as administrator option, notated by the blue and yellow shield icon, the User Account Control (UAC) icon. For users who are fans of shortcut keys, you can use the 'Ctrl+Shift+Click" method. While holding down both the Ctrl and Shift keys, click on the program in the taskbar that you wish to run as administrator. If you are running a program frequently that requires the run as administrator permission, it may be beneficial to just set the shortcut to always run as administrator. From the taskbar, right-click on a program to enable the jump list. 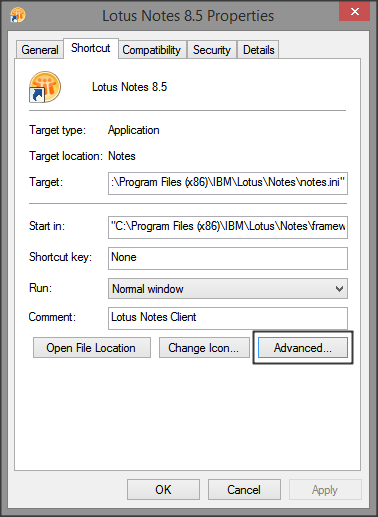 Once the jump list is in view, right-click on the program in the jump list menu to bring up the context menu. From the context menu, select the Properties option. 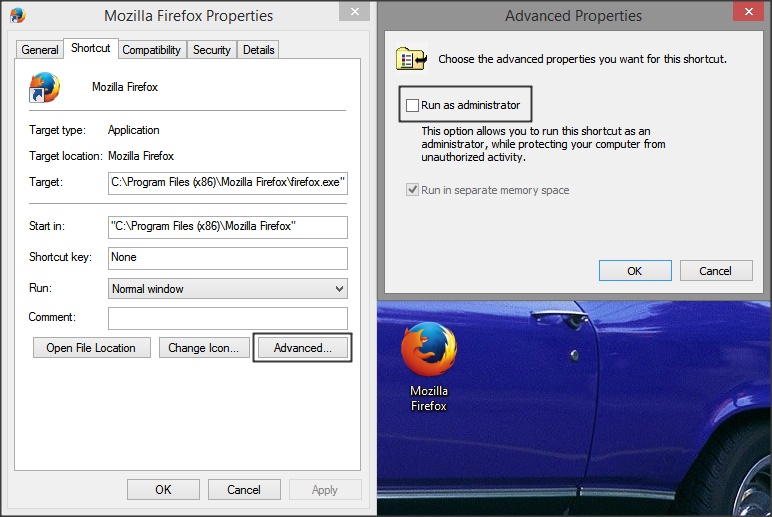 In the program's properties window, navigate to the Shortcut tab, then click advanced. From the advanced menu, select the Run as administrator option and click OK.
From the desktop Screen right-click or long-press (for touch users) to bring up the context menu. From the context menu, select the Properties option. In the program's properties window, navigate to the Shortcut tab, then click advanced. For users who are comfortable behind the console, there are a few ways to elevate programs using commands.